The Danza de Tijeras, or the Scissors Dance, is a ceremonial dance of the Quechua people of the south-central highlands of the Peruvian Andes. 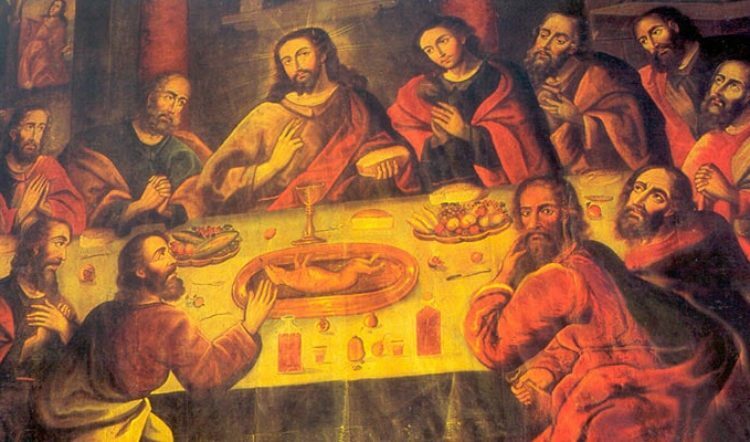 It is performed in the Huancavelica, Apurimac, Arequipa and Ayacucho regions of Peru. 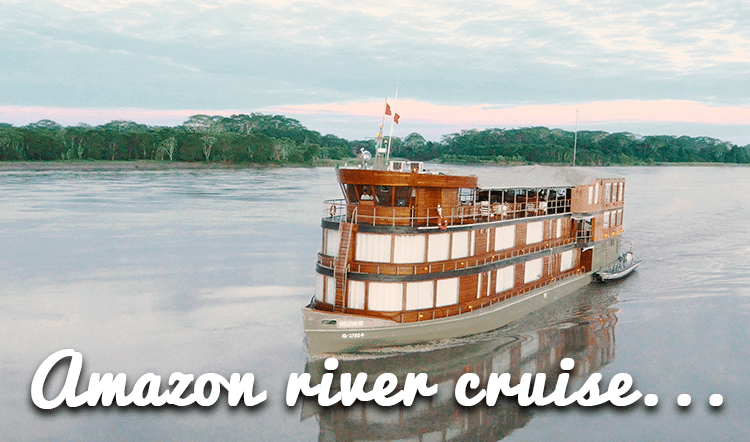 Headed there on your Peru vacation? 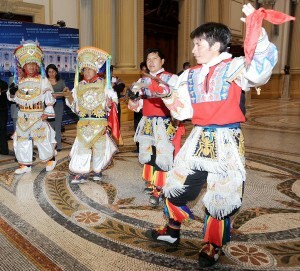 Here’s your guide to this unique Peruvian dance and tradition. The knowledge of the Danza de Tijeras is passed on from generation to generation by oral tradition. It is performed during the dry months, and has a connection with water. The sacrifice or suffering on the part of the dancers as they perform increasingly complex feats, is thought to be a way to appease the gods into restoring balance, and bringing rain to nourish the crops. 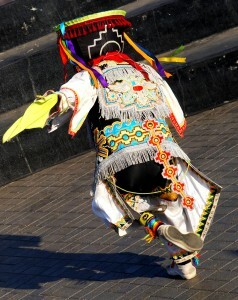 According to some anthropologists, the Danza de Tijeras may also be linked with the Taki Onqoy, an Andean spiritual movement that began in the 16th century in the Chanka region of Peru.This movement was opposed to the forced adoption of Catholicism, restoring the old beliefs to the gods of the Andean people. Chroniclers of the time noted that the participants would be possessed by the spirits of their Huacas, or deities, and that their bodies would be taken over with strange, twisting movements. The Spanish Inquisition made to do away with this rebellion, and had reportedly wiped out those involved by 1572. Although the Catholic Church identified the dance with the devil, and even in modern times dancers in their ritual garb are forbidden from entering Catholic churches, the dance is purported to be under the protection of Huamani, the Mountain Spirit. There is an oral legend that tells how the Danza de Tijeras came to be. It is said that a spirit child appeared in the old days, dancing inside a sacred waterfall, or paccha. A child from the pueblo saw him dancing and learned how to perform the dance from him. In this way, the Danze de Tijeras was then spread from child to child, throughout the pueblos. 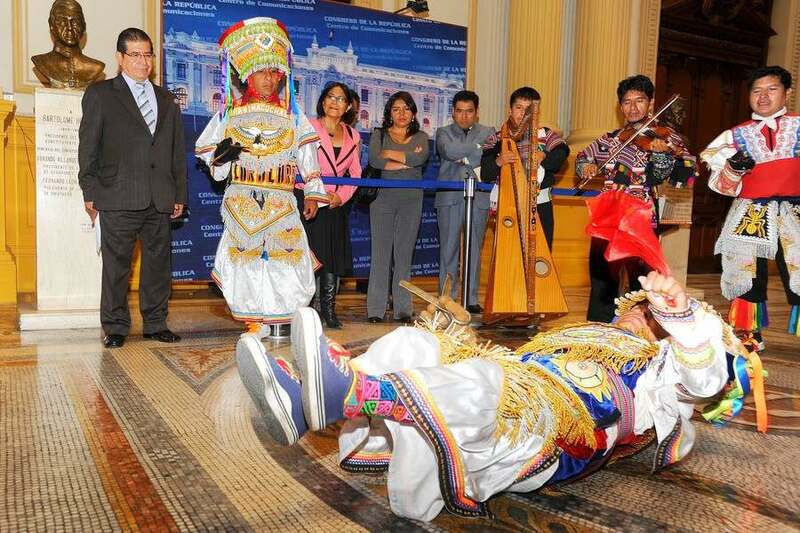 The Danza de Tijeras is performed around Christmas and New Years, paralleling the Summer Solstice celebration of the Andean indigenous people. It is also performed during agricultural festivals associated with the practices of irrigation, planting, llama shearing, and harvest. Expect a competitive performance in which teams or cuadrilas, each representing their pueblo and consisting of a violinist, a harpist and one or more pairs of dancers, vie with one another by performing ever more intricate and even dangerous movements, as scissors-like ceremonial blades are held in the dancers’ right hand. The dancers are resplendent in ceremonial garb hung with small mirrors, colored sequins, and golden fringe, and they are careful to never let the scissors blades touch the floor. The dance itself can last for many hours, as the dancers, or tusuq, execute increasingly complex and acrobatic movements. 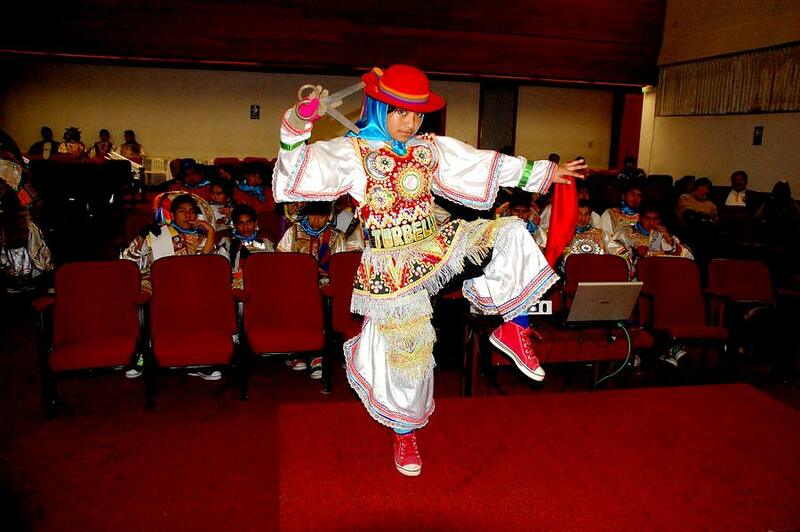 The Danza de Tijeras was recently recognized by UNESCO as part of the intangible heritage of humanity. 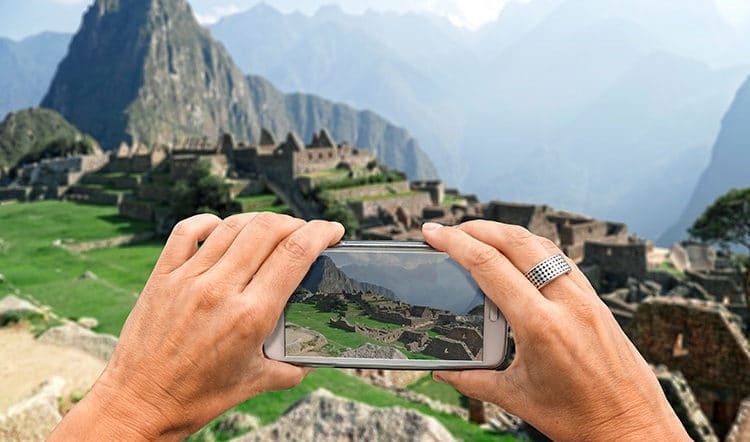 Connect with a Kuoda Travel Designer to find out how we can include this incredible Peruvian dance in your Peru vacation itinerary. 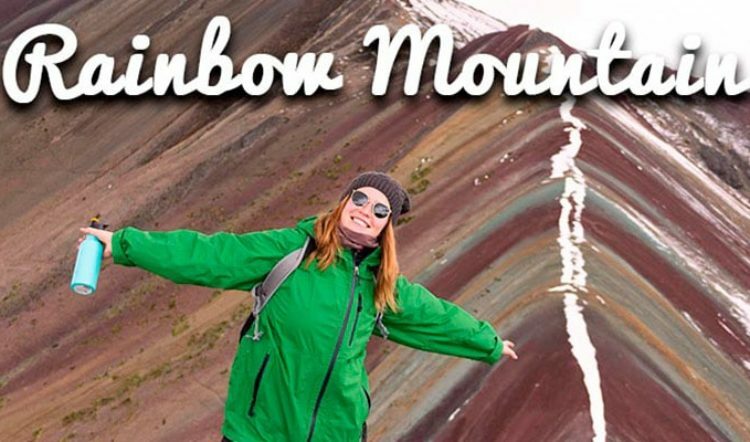 Yet to begin your Peru trip planning? Contact Kuoda today.